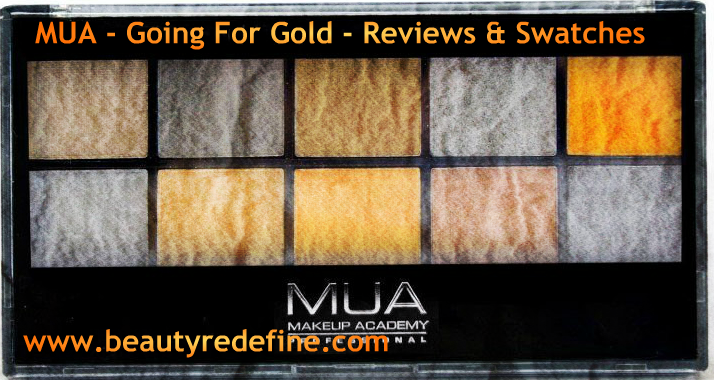 To celebrate the 2012 London Olympics, MUA has introduced the champion of all make-up palettes, a limited edition Going for Gold Palette! Made up of 10 fabulously shimmering eyeshadow shades in the new square pans, MUA urges you to get in the winning mood and go über glamorous to cheer on your team. Whether you’re going for a subtle highlighting effect or attention-grabbing statement eyes, you will be sure to dazzle with the Olympians. Since its quite old palette and have been reviewed by many bloggers already I will be really short. The palette consists of 10 shades. As the name says it includes mostly gold and copper but MUA didnot skip adding few silver shades too to make it a gorgeous more holistic palette. And like all of MUA's other palette's MUA have not given shades any specific names. 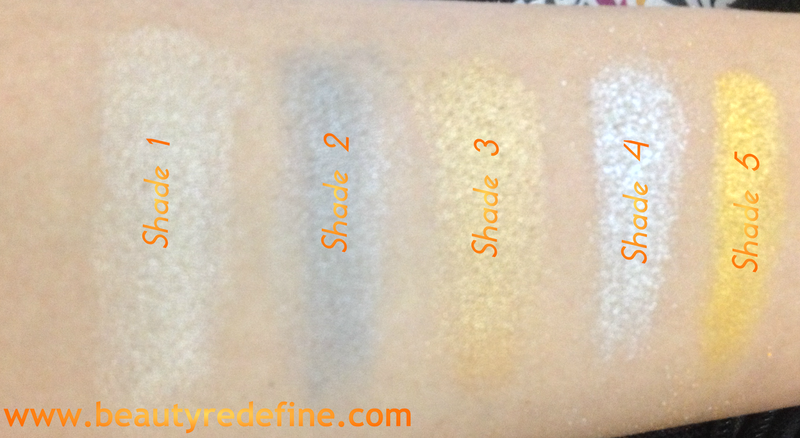 These shades are soft , highly pigmented and blend easily except for shade 4 which takes quite sometime for blending. I have not observed much fall and they last for quite a good time but they will lasts even longer with a primer underneath. I observe that this palette has a good range of colors. 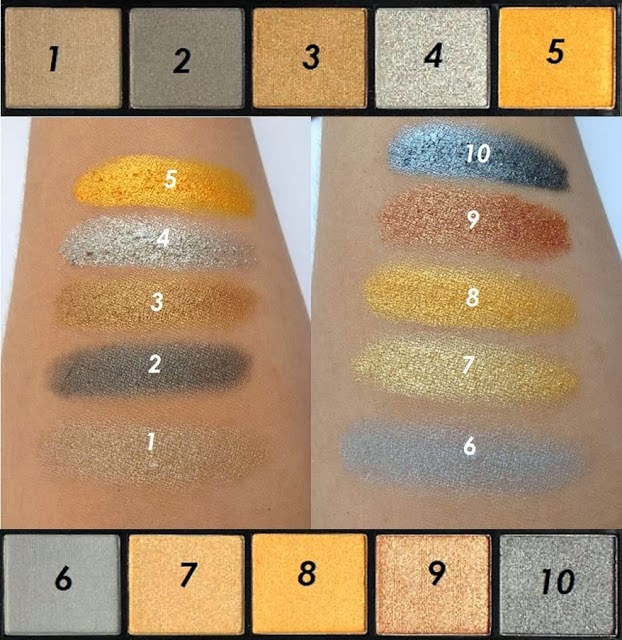 I personally don’t wear silver eye shadow’s so I won't really get much use out of them except lighting the existing shades , but I know a lot of people do love silvers. I would have liked to see another bronze or two, since bronze is a very popular color. The packaging of the palette is simple. The case is made entirely of plastic and comes without mirror but it does include an applicator. Overall its a nice and affordable palette. If you like metallic colors, I would highly recommend this palette! Have you tried this Palette ?? Will you buy it ?? Love to read your comments. Have you tried this Palette ?? Will you buy it ?? What is your favourite MUA product ?Love to read your comments.